The adjoining suites are located on the first and second floors, with each floor presented in an open plan configuration. the suites have their own WC and kitchenette facilities and benefit from on site car paring spaces within the front of the courtyard. They are available either together or separately. 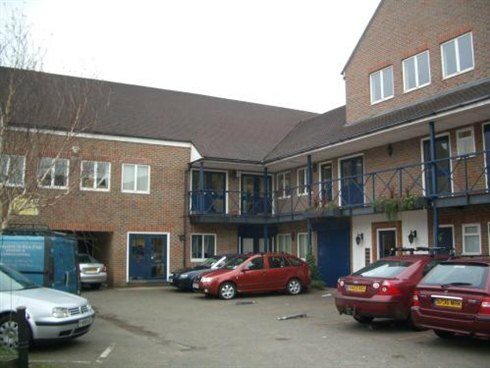 The property forms part of a Courtyard office development immediately behind Tolworth Broadway and therefore benefits from all the shops and amenities of the town centre. Tolworth has excellent communication links, being adjacent to the A3, which provides direct access to Central London and the M25 (Junction 8) to the south. Tolworth Station is within walking distance, which provides a direct service to London Waterloo (approximate journey time 35 minutes). A new effective full repairing and insuring lease for a term to be agreed. From £15,000 to £17,500 pa excl.